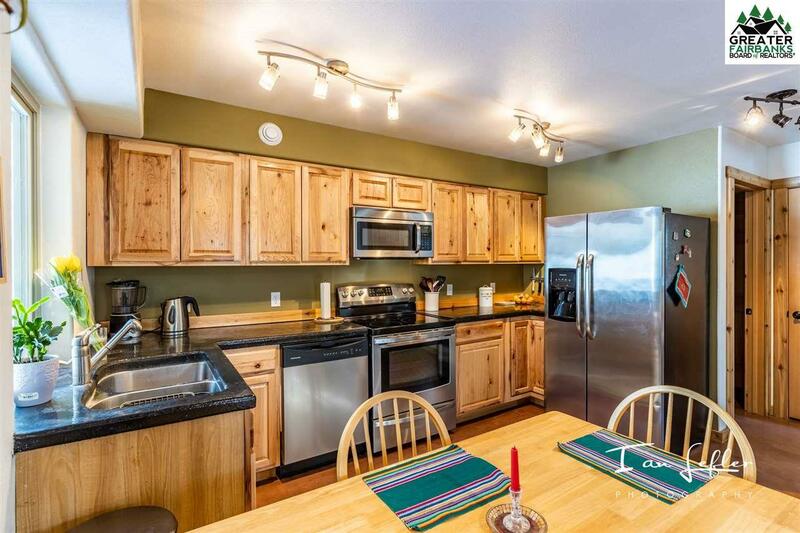 Living in the hills, sunny, close to skiing, and all that at an affordable price! Could it get any better? 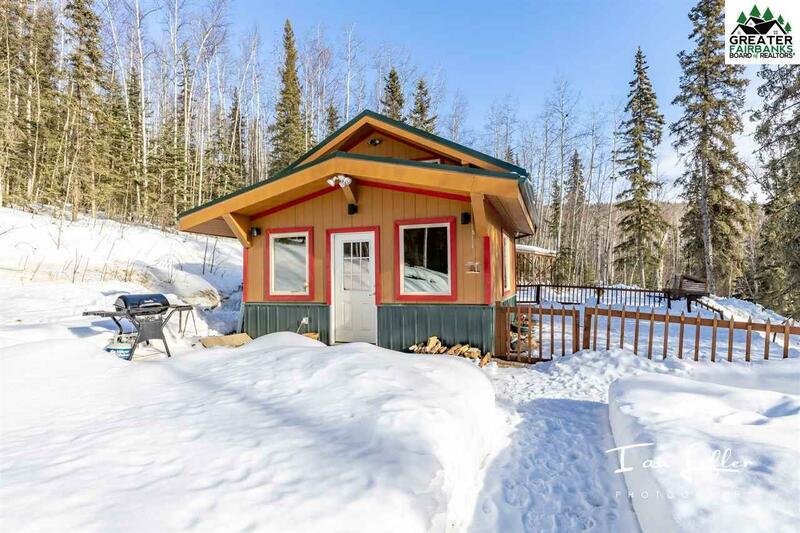 This home boasts southern exposure, more moderate temperatures in the winter, energy efficient, low maintenance, easy access to walking, skiing, and other outdoor activities. Home shows wonderfully. There is radiant floor heating on both levels, all triple pane windows but one. 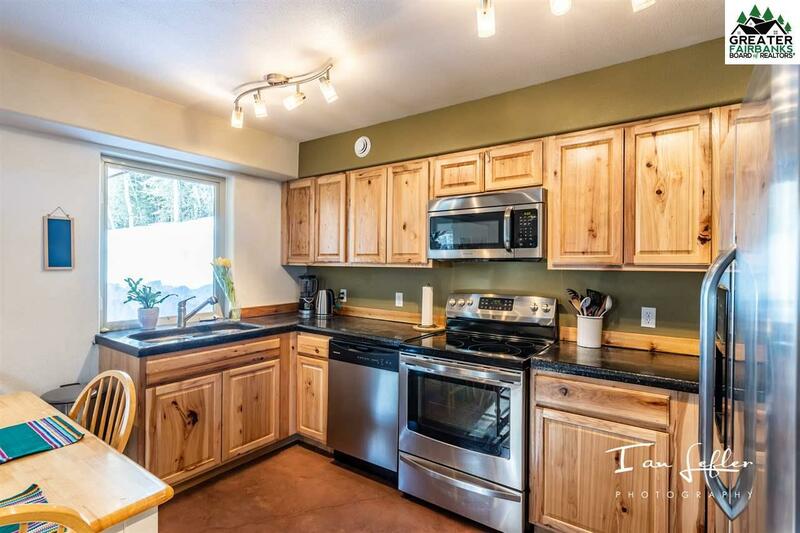 Main level features a nice open layout with stained concrete floors, slightly vaulted ceilings with tongue and groove in living room, Hickory cabinets, concrete countertops, and stainless appliances to cap off this great kitchen! A great wood stove centrally located will heat the whole house if needed! Also, on this level you will find one bedroom, and a half bath, along with the utility room. Going up the stairs you will notice cedar trim boards, pine stairs, and a steel handrail with modern cable railing finish. The upstairs features two nice sized bedrooms, one a master bedroom with a walk in closet. There is a full bathroom on this level, with washer/dryer. 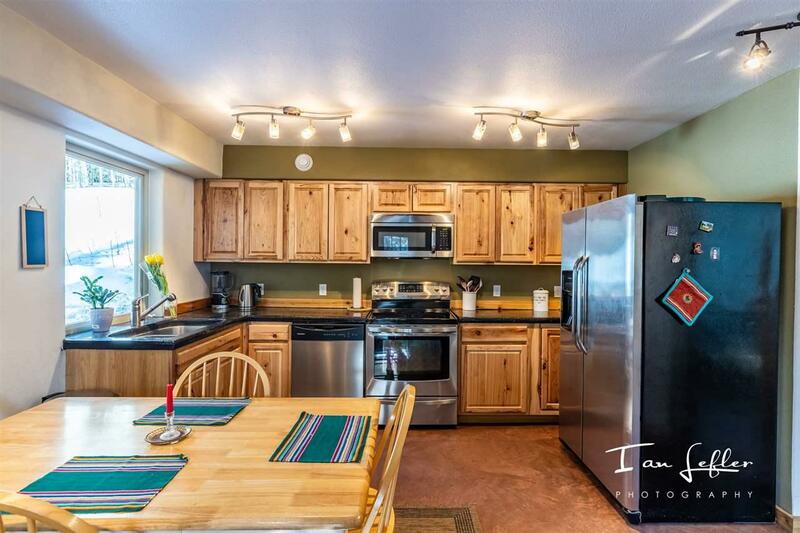 This cozy home in the hills is in a nice location and not far from town, and has a lawn/yard for dogs or kids. All around, a nice home that has been cared for and shows pride of ownership throughout! Don't miss out and schedule your showing today! Other awesome features to mention: Buderus boiler (great boilers! ), HRV, shed (8x12), carport that is built for RV sizes (about 14-16 ' tall), covered woodshed, nice back yard, and a fenced dog area on the side of the house that runs down the hill and into the woods.